Now you can enjoy the rejuvenating spa and dermatologist experiences at home and at travel- at a fraction of the cost. This Professional Skin Cleansing System by Etereauty Products is an advanced cleansing tool that helps polish away dull skin and gently exfoliates away impurities that traditional cleansing leaves behind. The result? Wonderfully cleaner, softer, radiant looking skin. With so many beauty regimens telling you different things about what you need to achieve great skin, it’s easy to feel overwhelmed. And, after you’ve tried a few different products without seeing any visible results, it’s easy to give up altogether. 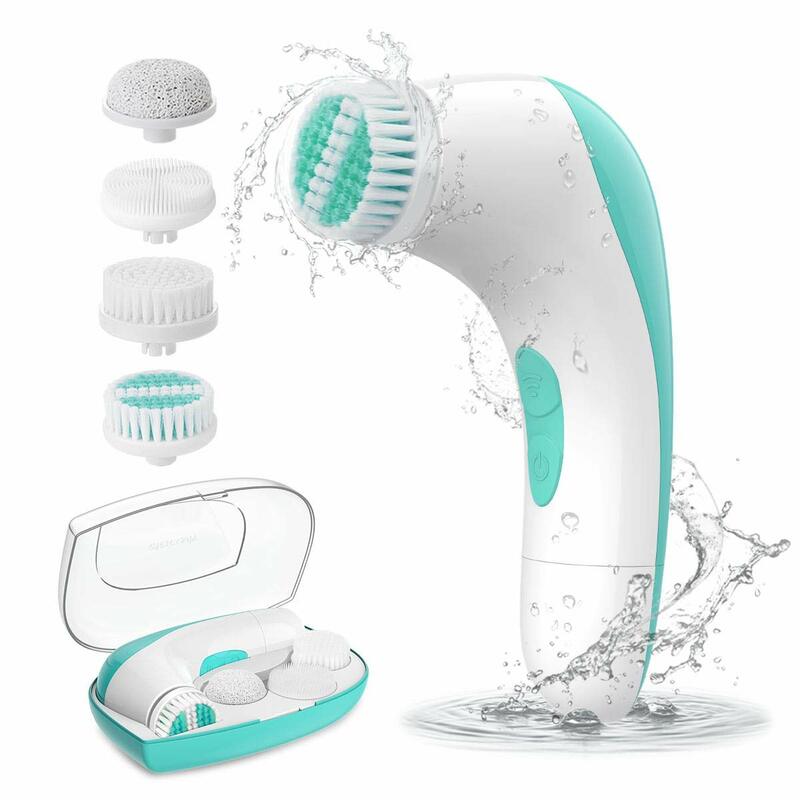 Designed to give your skin the treatment it needs to look and feel its best, our facial cleansing brush kit is the BEST way to clean your skin, removing dirt, oil, makeup, and other toxins. 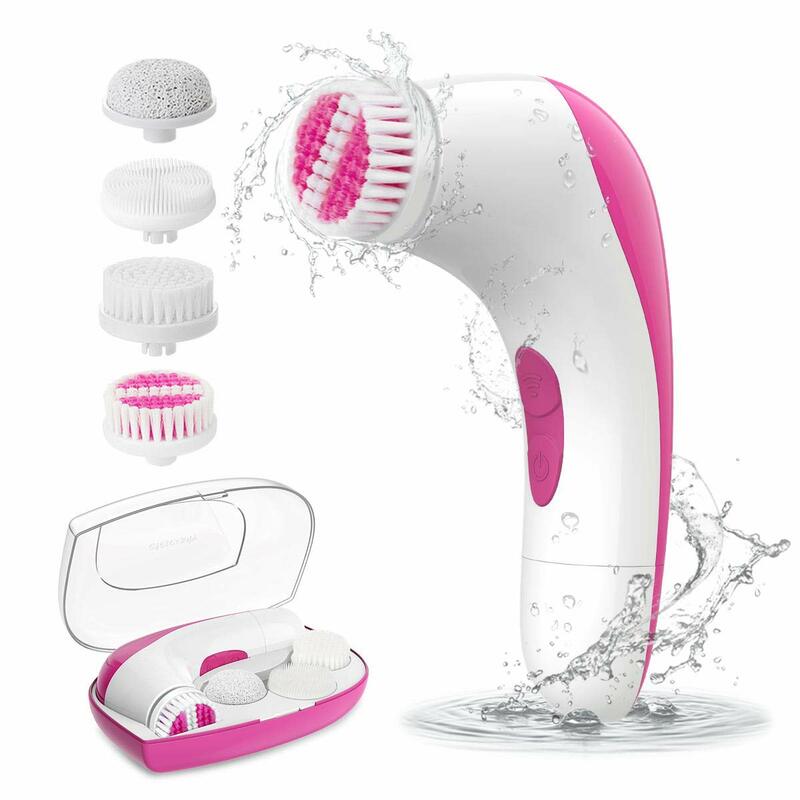 More effective than your hands or towels, our electronic facial brush can be adjusted to the right speed for your skin. The result? Cleaner skin, smaller pores, fewer breakouts, and the GLOW you’ve been after. Radiant, clear, glowing skin is easier to achieve than you thought. Just choose the brush head that’s right for you and get started! - SOFT. Choose for gentle, daily cleaning. - EXFOLIATING. Choose for deep, daily cleaning. - SILICONE. Choose for daily cleaning for sensitive skin. - PUMICE. Choose for removing callouses on feet.